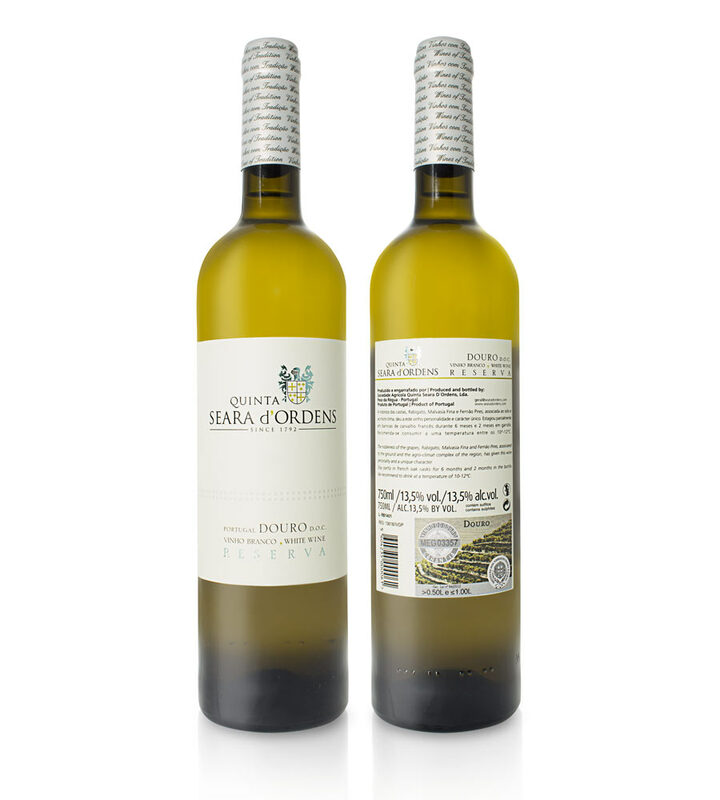 Of citrus/golden color, the Reserve White reveals in the nose mature tropical notes linked with slightly vanilla and toast from the aging in new wood. In the mouth, it’s fruity, consistent, balanced and good acidity. The nobleness of the castes Rabigato, Malvasia Fina, and Fernão Pires, associated to the ground and the agro-climatic complex of the region has given this wine personality and a unique character. It has fermented in oak casks for 6 months. 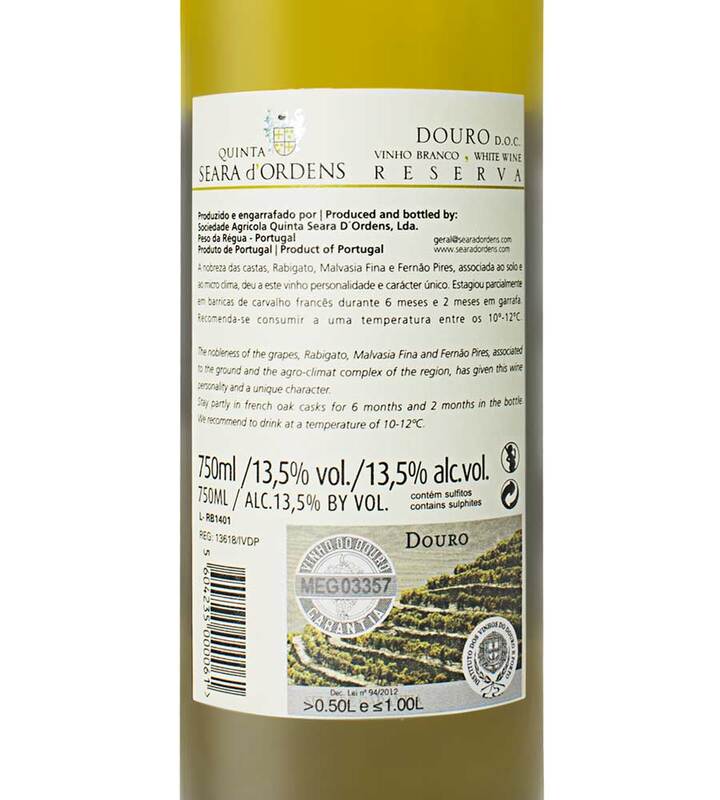 We recommend drinking it at a temperature of 10-12ºC. We were at the end of the eighteenth century, when the Leite family acquired a large place near the spot of Poiares Seara. Its owner, fascinated by the beauty of the place and its excellent location, access promptly invested in the property and the planting of vineyards, olive and almond trees. 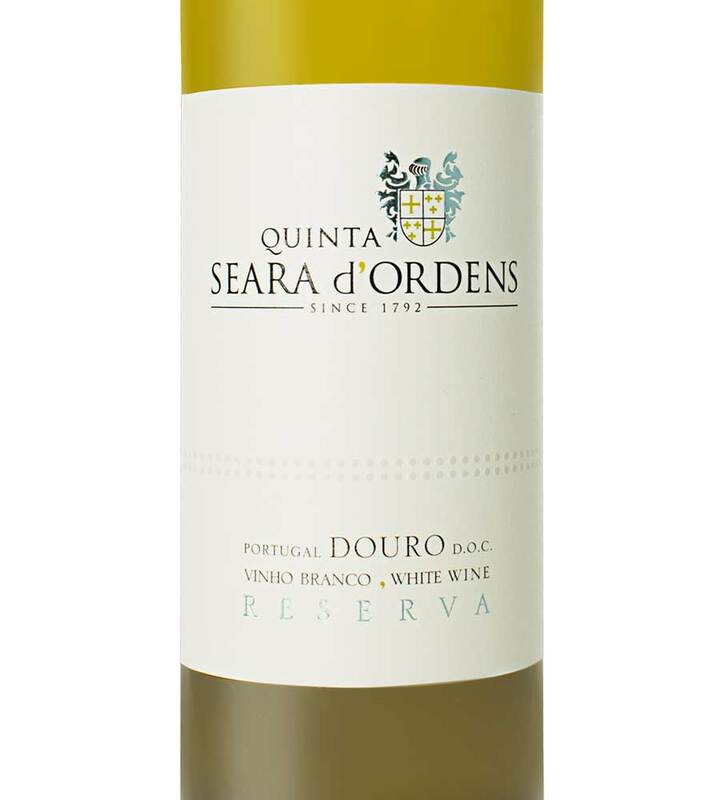 So from that point, the place is now called the “Quinta da Seara D’Ordens”. Sociedade Agricola Quinta Seara d’Ordens, Lda.